These "Condos" are becoming more and more popular with the rising land prices. They are basically two homes, sometimes connected sometimes not, on one lot. 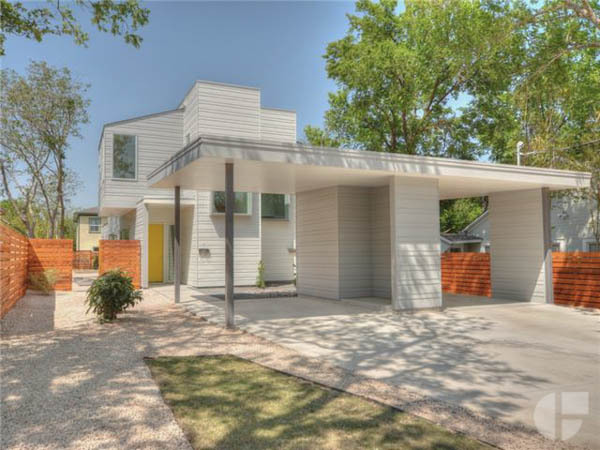 This particular beauty happens to be in the heart of Bouldin Creek, walking distance to Elizabeth St Cafe, Sway and many more. Designed by Steve Zagorski this home has some great light filled rooms and an open floor plan. Unit B is also available.